Copyright is an important topic for the entire Hiya community. In the sections below, you'll find access to all the information and tools needed to manage your rights on the Hiya platform and learn more about respecting the rights of other creators. Hiya promotes original content (only) by the creative community. We take very serious cognizance of non-original / non-copyrighted content being uploaded to the platform. We want the creativity in you to be showcased through your portfolio of work across various areas amongst friends & family, peers, experts, specific individuals and all, based on your choice. And you should be able to do this with all the copyright controls, through proper means as outlined in this document. You declare that all the creative content that you have uploaded as part of your Portfolio of work is original and you are the author or co-author or a contributor to that piece of creative work, whether it is a document or an image or an audio-visual file. For these creative content (that may be covered by intellectual property rights), like photos and videos (IP content), you specifically give us the following permission, subject to your privacy: you grant us a non-exclusive, transferable, sub-licensable, royalty-free, worldwide license to use any IP content that you post on or in connection with Hiya (IP License). This IP License ends when you delete your IP content or your account unless your content has been shared with others, and they have not deleted it. You will not post any non-original or non-copyrighted creative files. The creative content that you have posted should be authored, co-authored by or created by you along with others. Please don’t post creative work of other, where you have not played any part in the creating the content. You will not post unauthorized commercial communications (including spam) on Hiya. You will not engage in unlawful multi-level marketing, through your post or uploads on Hiya. You will not post content or take any action on Hiya that infringes or violates someone else's rights or otherwise violates the law. You will not post anyone's identification documents or sensitive financial information on Hiya. You will not attempt to download or make a copy (either in full or in excerpt) of creative content posted and uploaded by others, whether it is from a friend & family, peer, experts or anyone else. Other members have shared their content with you, for you to appreciate, comment on their work and for you to provide constructive feedback and rating. You will also report different kinds of infringements by other members, including copyright infringement using the “Report Abuse” functionality. We can review the content on an independent basis and take appropriate action for any observed deviation from our Privacy Policies, Terms & Conditions and Copyright Policies. We can remove any content or information you post on Hiya if we believe that it violates this Statement or our policies. Termination - If you violate the letter or spirit of this Statement, or otherwise create risk or possible legal exposure for us, we can stop providing all or part of Hiya to you. We will notify you by email or at the next time you attempt to access your account. You may also delete your account or disable your application at any time. Request the removal of an unauthorised use of your creative work. If you believe your copyright-protected work was posted on Hiya without authorization, you may use the “Report Abuse” functionality via the web form on Hiya and report the incident. Be sure to consider whether fair use, fair dealing, or a similar exception to copyright applies before you submit. Please remember, there may be more than one person (that can be you), who may have contributed in creating this piece of work. These requests should only be submitted by the copyright owner or an agent authorized to act on the owner’s behalf or any member who is aware of the copyright breach (like in case of popular piece of creative work whose author is well known in the public minds or in the knowledge of this member). If you choose to request removal of content by submitting an infringement notification, please remember that you are initiating a dispute process. We will also accept free-form copyright infringement notifications, submitted by email. Request the reinstatement of a piece of creative work that was incorrectly removed from Hiya for copyright infringement. 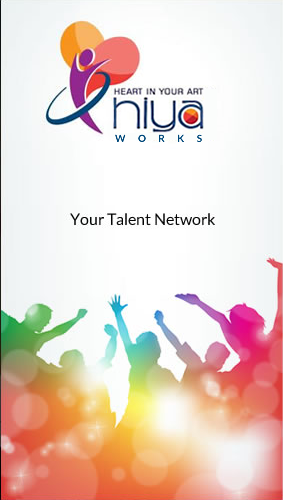 A response notification is a request for Hiya to reinstate a piece of work that has been removed for alleged copyright infringement. The process may only be pursued in instances where the upload was removed or disabled as a result of a mistake or misidentification of the material to be removed or disabled, such as fair use. It should not be pursued under any other circumstances. Hiya gives you an opportunity to respond to a Copyright infringement as part of the infringement email notification. Please note that when we forward the response notice, it will include the full text of the response notice, including any personal information you provide. The claimant may use this information to file a lawsuit against you in order to keep the content from being restored to Hiya. By submitting a response notification, you consent to having your information revealed in this way. We will not forward the response notification to any party other than the original claimant. Response notifications must be submitted by the file’s original uploader or an agent authorized to act on their behalf, such as an attorney. To submit a response notification, please use our web form that is accessible as part of Copyright infringement email notification. Response notification can be submitted within 30 calendar days of receiving the Copyright infringement email notification. After we process your response notification by forwarding it to the claimant, the claimant has 10 business days to either substantiate the evidence of copyright infringement or provide us with evidence that they have initiated a court action to keep the content down. This time period is a requirement of copyright law. If your account has been suspended for multiple copyright violations, the response notification web form will be inaccessible. If appropriate, you may submit a free-form email communication. Cancel or retract a removal request that you submitted to Hiya. After submitting a copyright infringement notification, a copyright owner or any member may realize that they've misidentified content or may change their mind about their complaint. When this happens, Hiya is glad to honour retractions of copyright claims from the party that originally submitted them. Please submit your retraction to Hiya from the same email address that was used to submit your original claim of infringement. If the email address is different, we may be unable to process your retraction. If you're a user affected by a copyright claim, you may reach out to the copyright owner or the person who has reported it, directly in search of a retraction. If the claimant has a Hiya account, the easiest way to contact them is through Hiya's messaging feature. Please note that we will only process retractions that are sent from the same email address or domain that submitted the original claim of copyright infringement. If you have any concerns about inappropriate or unsafe content on Hiya, we offer a way for you to flag the content directly on the site. Use the “Report Abuse” functionality on the platform to report for any of the following case, apart from Copyright Violation. Note: Please only report items that are inappropriate as defined in our Terms And Conditions. A difference of opinion isn't the right reason to flag something. What is protected by copyright? How is copyright different from other forms of intellectual property? In many jurisdictions, when a person creates an original work that is fixed in a physical medium, he or she generally automatically owns copyright to the work. The owner has the exclusive right to use the work in certain, specific ways. Ideas, facts, and processes are not subject to copyright. In order to be eligible for copyright protection, a work must be both creative and fixed in a tangible medium. Names and titles are not, by themselves, subject to copyright. Can Hiya determine copyright ownership? No. Hiya isn’t able to mediate rights ownership disputes. When we receive a complete and valid notice for Copyright infringement, we remove the content as the law requires. When we receive a valid response notification we forward it to the person who requested the removal. After this, it’s up to the parties involved to resolve the issue between themselves or in court. While we have disallowed downloads by disabling right clicking on the content files, members can still copy text from document, take screenshots of image files, record audio visual files and download & plagiarise concepts and content through other means. We are committed to original content on Hiya and protecting privacy / originality / copyright of the content; hence, we recommend certain precautions and steps by you to limit the chances of plagiarism, infringement and misuse. Decide judiciously whom you want to share your content with. It is about striking the right balance between popularity and privacy.